Yes. Mojito Cake. The refreshing taste of a mojito in cake form?! Sign me up! A little throwback Thursday story before we get into the recipe. 3 years ago before Nick became my boyfriend and 2 years before going gluten free and dairy free, I went to his graduation party. For dessert was a homemade mojito cake. When I first had a slice of this cake it was amazing. It’s light yellow cake with the crisp flavor of lime and hints of rum throughout make it absolutely delightful. The rum is not an overpowering taste at all and the lime really makes the cake come alive. It’s just delicious. Fast forward to about 3 weeks ago. Nick and I for a while have been saying “we have to make the mojito cake, we have to make the mojito cake” for months but just never did and FINALLY (after he made it for his co-workers a few times) it my turn to have a gluten free version of this cake. Now we didn’t use the King Arthur Gluten Free flour for this recipe because I can’t find their GF yellow cake to save my life! (If anyone knows were to find it PLEASE let me know!) We opted for our trusty Betty Crocker Gluten Free Yellow Cake Mix and it was delicious. It’s a Betty Crocker recipe adapted to be gluten free and dairy free. Ok even chatter, let’s make some mojito cake batter! Extra shot of rum, if desired – I recommend it! Heat oven to 350°F (325°F for dark or nonstick pan). Spray bottom only of 13×9 inch pan with baking spray with flour. In large bowl, beat cake ingredients (except the carbonated water) with electric mixer on low speed 30 seconds, then on medium speed 2 minutes, scraping bowl occasionally. Slowing stir in the carbonated water, scraping the bowl occasionally until all the water is incorporated into the batter. Pour batter into pan. Bake as directed on box for 13×9-inch pan. Cool 15 minutes. Meanwhile, in 2-quart saucepan, mix glaze ingredients. Heat to boiling over high heat, stirring frequently. Reduce heat to medium; continue to boil 3 minutes, stirring frequently, until glaze has thickened slightly. Poke warm cake every inch with a fork. Pour glaze slowly over cake. Cool completely, about 1 hour. **EXTRA STEP** My boyfriend’s co-worker suggested that after pouring the glaze over the cake and the cake completely cools, add ANOTHER shot of rum. JUST ONE. If you want a little extra rum kick when you first bite into the cake, definitely add the extra shot – totally up to you! 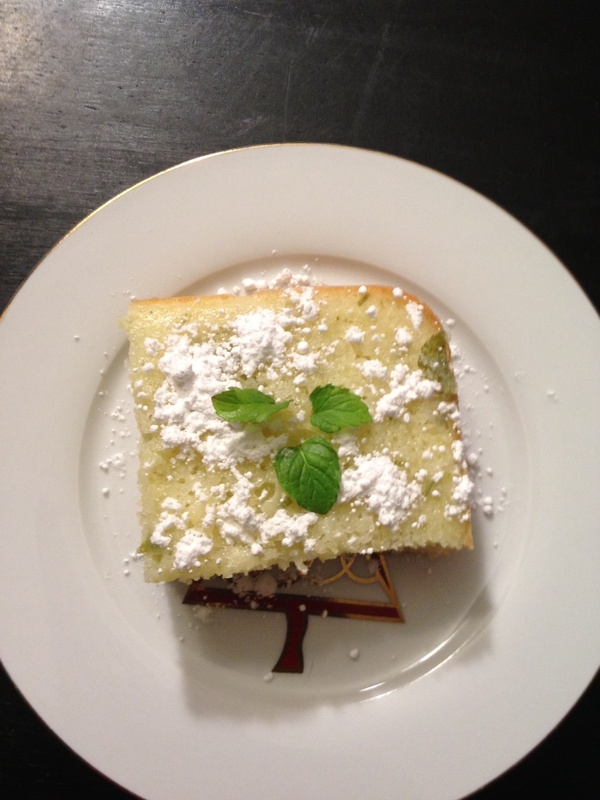 Garnish cake with powdered sugar, mint leaf and shredded lime peel. Store loosely covered. The corner pieces are the best parts (they soak up all the yummy glaze). The whole cake honestly is scrumptious and you may be craving this cake after it’s finished for a while. I know I was! Nothing says spring like a refreshing drink! Cherry Limeade can definitely hit the spot! Mix 1 part limeade to 2 parts seltzer water. 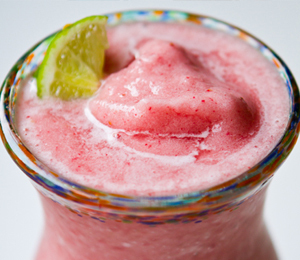 Add grenadine to taste (about 1 tablespoon per pint of limeade). 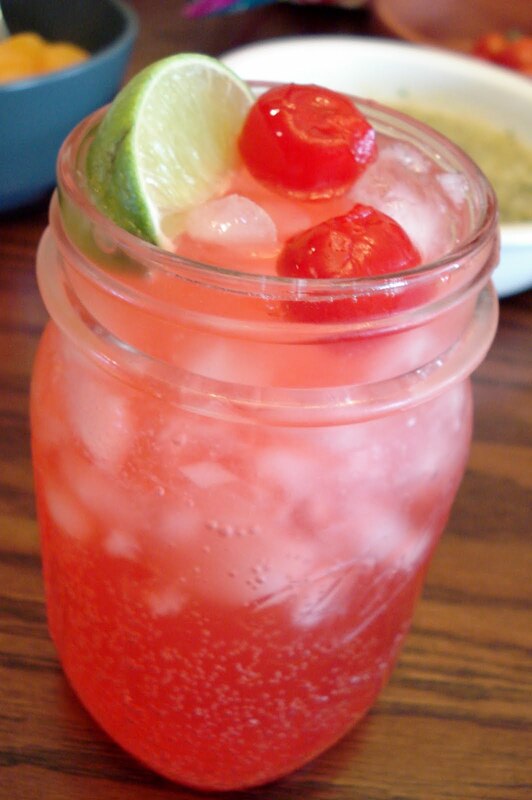 Garnish with lime and cherries. Check out the Simply website here! It’s April 1st! Spring is in the air and it’s the perfect time for delicious drinks! 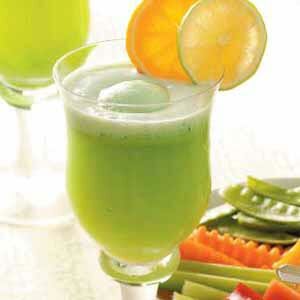 (We’ll any time is a great time for delicious drinks – but spring yields some of the best fruits!) Watermelons, kiwis oooh so many yummy tastes! 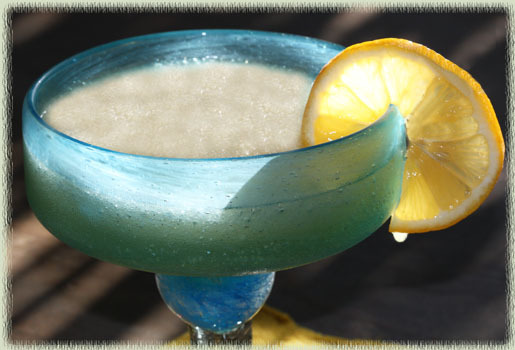 I know National Margarita Day was yesterday but another recipe to add to your margarita selection couldn’t hurt. Variety is the spice of life! Dip the rims of 4 margarita glasses in amaretto, then into sugar; set aside. Pour the limeaid, tequila, amaretto, orange juice, and ice into the bowl of a blender. Puree until smooth, then pour into prepared glasses. Garnish with lemon and lime wedges.